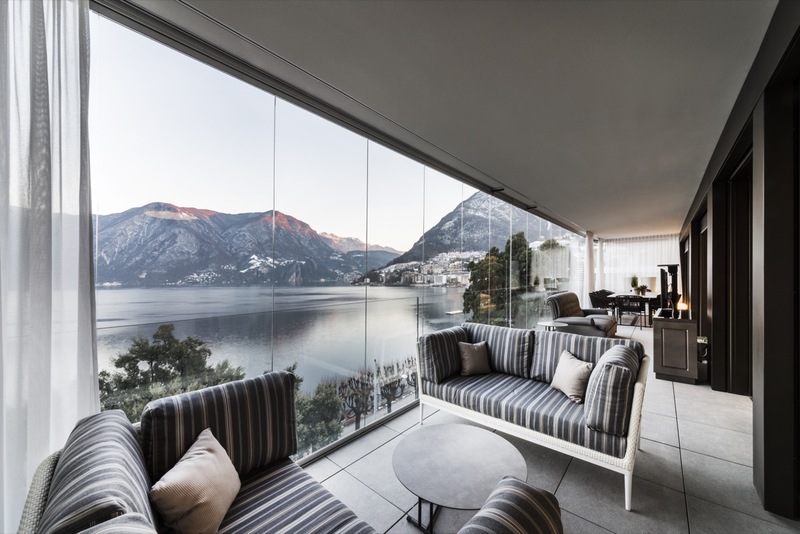 Linea Design was awarded a tender for the interior design of an amazing private home in Lugano with an impressive panoramic view of Lake Ceresio. The luxury and the abundance of details have been the trait d’union in the stylistic choice of this important work that demonstrates, with an overall look, the coherence, the attention to details and the chromatic and perceptive harmony of the furnishings. 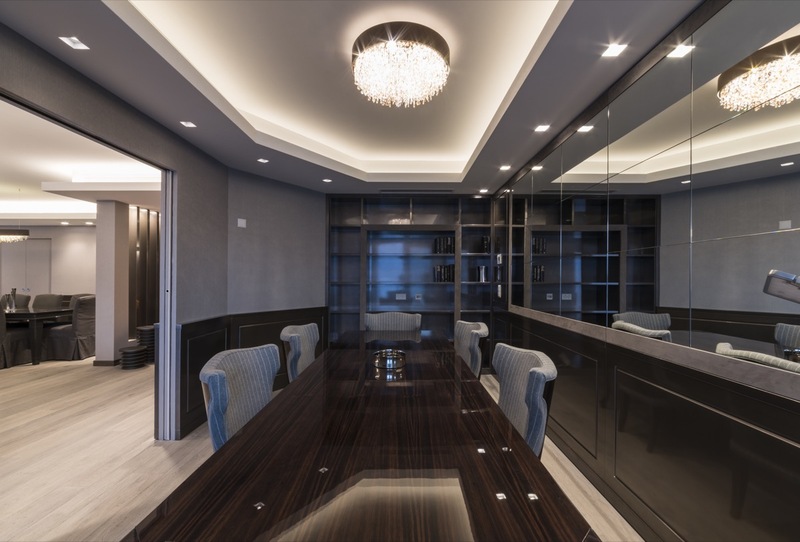 As in all our furnishing projects we always start from the study and research of the customer's taste, to propose customized solutions with furniture designed specifically for the location. Our work must represent and talk about our client. In fact, from our point of view, in order to make a project unique, we have to start from unique pieces: this is why we have made every item and piece of furniture to measure. 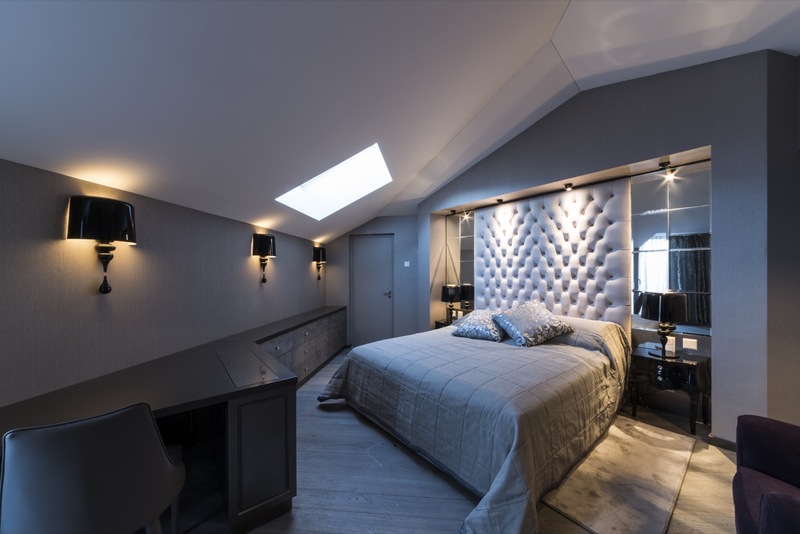 The elegant furniture line designed for our customer is complete with all materials, finishes and colours, matched and coordinated with accurate taste. 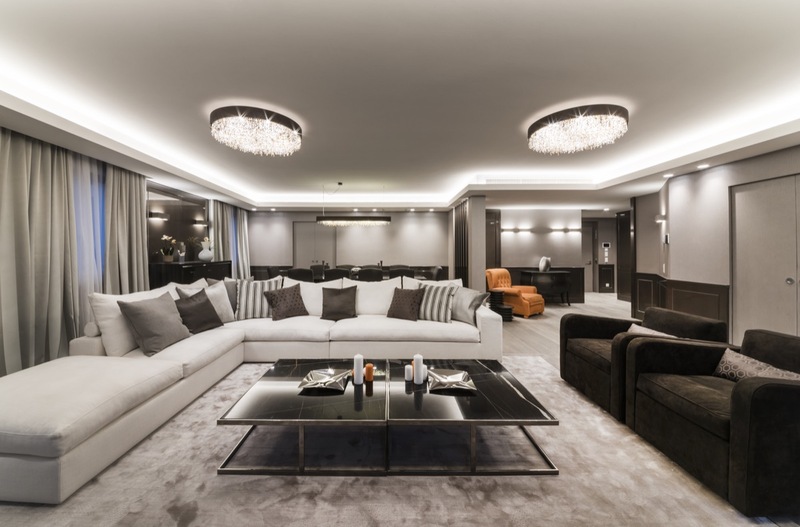 The bespoken furnishings, such as the boiserie in the living area or the large dining table with matching sideboard, made by our carpentry on exclusive design by Linea Design's technical staff, are of great impact. We took care of the supply and installation of the upholstery, of the indoor and outdoor furnishings, creating the right atmosphere for every room characterized in its furnishing elements. 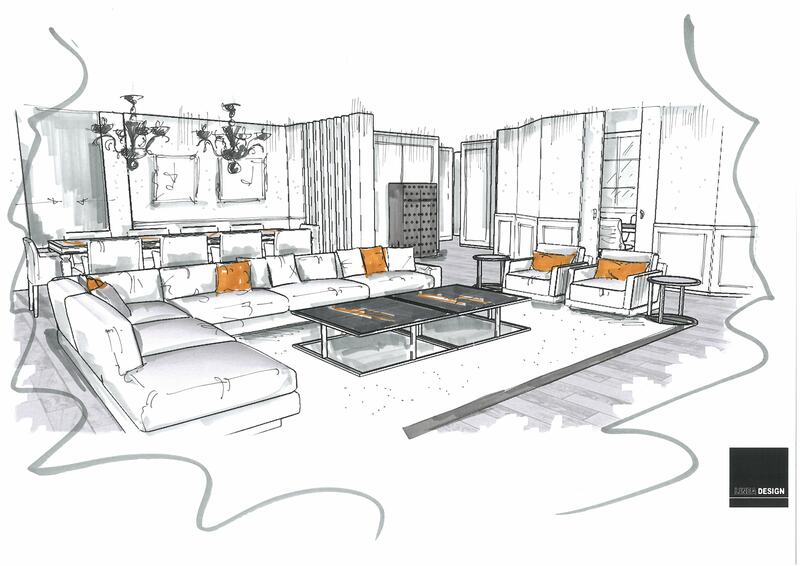 The intimacy and exclusivity of the spaces has been created working in harmony with the customer. The complete project also saw our intervention in the choice of textile materials for rooms and bathrooms, bathroom accessories, tableware, kitchen equipment and objects. Linea Design has shown seriousness in the work, punctuality in delivery and a "turnkey" service that continues to be a central and winning point of our Italian company. The customer was satisfied by our tailored made approach to work, from the design phase to assembly guaranteed by our qualified staff, choosing Linea Design for other business opportunities in the construction field. Passion and commitment have led Linea Design to address another challenge so important and at the same time stimulating.